I’m late in covering this, as the Man Booker International winner was announced last Wednesday. Although the official and shadow shortlists had only two books in common, the judges came to the same conclusion as the shadow panel: Flights by Olga Tokarczuk (tr. Jennifer Croft) took the Prize. Congratulations to both author and translator, and of course to publisher Fitzcarraldo Editions. 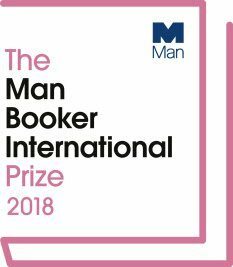 It’s been ten weeks since the Man Booker International Prize longlist was announced, and in that time the Shadow Panel has been working away in the background, reading frantically while discussing the merits and flaws of the selected titles. 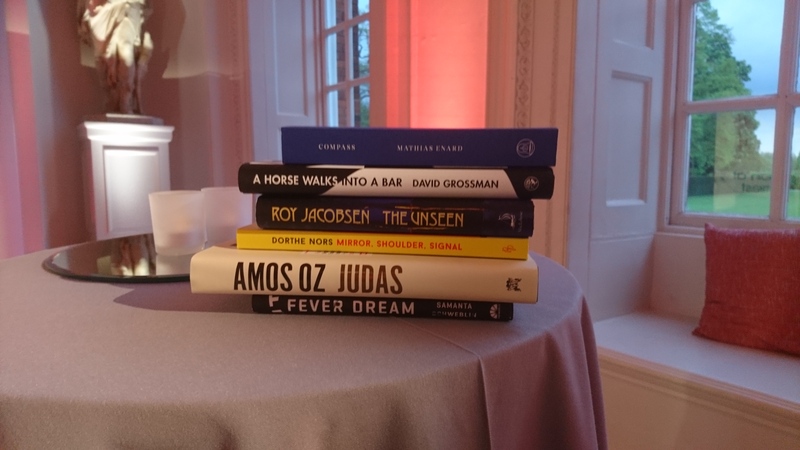 From the thirteen books we were given by the official judges, we chose a shortlist of six (only two of which made the official cut! ), and off we set again, to reread as much as possible in the time we had. Then we discussed the books a little more before voting for our favourites, culminating in the choice of our favourite work of translated fiction from the previous year’s crop. And who might that be? A special mention should also go to Fitzcarraldo Editions. This is their second consecutive MBIP Shadow Prize (we selected Mathias Énard’s Compass as our winner for 2017), and having also come close with Énard’s Zone in 2015 (which wasn’t even selected for the official IFFP list that year! ), they have proved to be one of the UK’s rising stars of fiction (and non-fiction) in translation. We look forward to seeing whether they can continue to provide titles for the longlist in future years. Firstly, thank you to the rest of our Shadow Panel. While Tony, Bellezza and Lori were around to help once more, it was a new-look team this year, with Paul, Vivek, Naomi, Oisin and Frances joining the crew. It’s been fascinating to compare our opinions about the books, even (or especially!) when we disagreed about them. Here’s hoping that we can do it all again next year! Secondly, a shout-out to all the readers and commenters out there. It’s heartening to have people appreciate our endeavours, and when people say that they’re following the prize vicariously through our reviews and comments, even if they don’t have time to read all the books themselves, it makes us feel as if the whole process is worth it. Adapted from an original post on Tony’s Reading List. The Impostor by Javier Cercas, tr. Frank Wynne (Spain, MacLehose Press). The White Book by Han Kang, tr. Deborah Smith (South Korea, Portobello Books). Die, My Love by Ariana Harwicz, tr. Sarah Moses and Carolina Orloff (Argentina, Charco Press). The Flying Mountain by Christoph Ransmayr, tr. Simon Pare (Austria, Seagull Books). 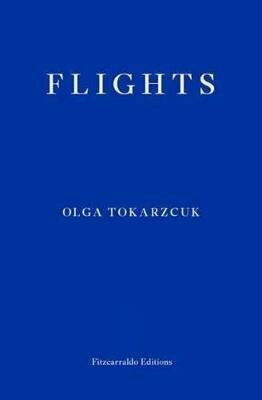 Flights by Olga Tokarczuk, tr. Jennifer Croft (Poland, Fitzcarraldo Editions). The Stolen Bicycle by Wu Ming-Yi, tr. Darryl Sterk (Taiwan, Text Publishing). Go, Went, Gone and Frankenstein in Baghdad receive honourable mentions from the shadow panel. We’ve ended up with quite a different shortlist from the official one (only two titles in common) – but of course that’s all part of the fun! The winner of this year’s MBIP will be announced on 22 May, with the shadow winner revealed shortly before. Vernon Subutex 1 by Virginie Despentes, tr. Frank Wynne (France, MacLehose Press). The World Goes On by László Kraznahorhai, tr. John Bakti, Ottilie Mulzet and George Szirtes (Hungary, Tuskar Rock Press). Like a Falling Shadow by Antonio Muñoz Molina, tr. Camilo A. Ramirez (Spain, Tuskar Rock Press). Frankenstein in Baghdad by Ahmed Saadawi, tr. Jonathan Wright (Iraq, Oneworld). I ended up prioritising reading over reviewing this year, so I haven’t been talking much about the longlist on here. Suffice it to say that my two favourite books were Frankenstein in Baghdad and The White Book (which I still hope to review), so I’m pleased to see them both on the shortlist. The 7th Function of Language by Laurent Binet, tr. Sam Taylor (France, Chatto & Windus). Go, Went, Gone by Jenny Erpenbeck, tr. Susan Bernofsky (Germany, Portobello Books). The Dinner Guest by Gabriela Ybarra, tr. Natasha Wimmer (Spain, Harvill Secker). The titles above will turn to links as I review the books. To date, I have managed to read a grand total of one, Frankenstein in Baghdad, though I haven’t reviewed it yet (spoiler: it’s excellent). I have another six of them to hand, and have been looking forward to reading all of them. The books I don’t know also sound intriguing; this is going to be an exciting month-or-so of reading. Compass by Mathias Énard (translated from the French by Charlotte Mandell). The Unseen by Roy Jacobsen (translated from the Norwegian by Don Bartlett and Don Shaw). Bricks and Mortar by Clemens Meyer (translated from the German by Katy Derbyshire. Judas by Amos Oz (translated from the Hebrew by Nicholas de Longe). Fever Dream by Samanta Schweblin (translated from the Spanish by Megan McDowell). Fish Have No Feet by Jón Kalman Stefánsson (translated from the Icelandic by Philip Roughton). Four titles overlapping with the official shortlist, but quite a different list in character even so, I’d say. A Horse Walks into a Bar by David Grossman (translated from the Hebrew by Jessica Cohen). Mirror, Shoulder, Signal by Dorthe Nors (translated from the Danish by Misha Hoekstra). I’ve reviewed five of those; the links above will take you to the relevant posts. I think this is an interesting shortlist, but most importantly from my point of view, it includes three of my favourites (Compass, The Unseen, and Fever Dream). I’d love to see one of those take the Prize.